The proposed fiduciary rule is based on a "misguided notion" that fee-based compensation is always superior, the commissioner says. 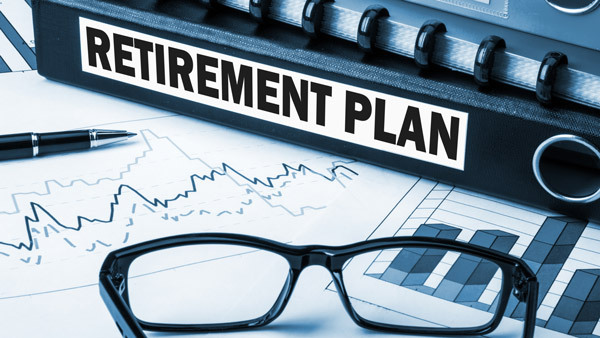 The Department of Labor’s rule proposing expansion of fiduciary status to all advisors to IRAs and most 401(k) plans is all but a done deal, according to outgoing Securities and Exchange Commissioner Daniel Gallagher. To date, Gallagher has pulled no punches articulating his disdain for the DOL’s efforts. But in a comment letter addressed to Labor Secretary Thomas Perez, Gallagher effectively called out Labor’s chief, who has made consistent public promises that he intends to continue to work with industry to post a workable final regulation. The DOL’s rule is based on the “misguided notion” that fee-based compensation models are superior to commission-based models for every investor, said Gallagher. The rule now under consideration differs from the DOL’s original attempts to write a fiduciary regulation in that it does not prohibit commission-based transactions, as the first rule attempted to do and as has been done in other developed economies. But opponents to the rule say the prohibited transaction exemptions and Best Interest Contract Exemptions established in the new rule that will allow commission-based sales will be too costly and onerous to comply with, forcing the advisory industry to comprehensively adopt fee-based models. Gallagher can be added to the growing list of stakeholders who believe that will be the case. “Broker-dealers utilizing a commission-based fee structure will find it difficult, if not impossible, to navigate the labyrinth of prohibitions and exemptions contemplated by the proposal, and many will make the unfortunate—yet entirely rational—choice to stop servicing certain retirement accounts,” he argued in his letter to Perez. High net-worth clients will be moved to fee models and “will pay a premium to the existing commission structure,” said Gallagher. And “less-heeled” investors will be fired by their advisors and left to fend for themselves, he said. “Like so many other bad government policies, the DOL rule will affirmatively harm those it ostensibly sets out to help,” proof in Gallagher’s mind that the “nanny state” is alive and well. Throughout the long debate over DOL’s rulemaking, industry stakeholders have often argued that the SEC should take the lead on establishing a new industry-wide best interest standard. Dodd-Frank gives the SEC authority to write a new standard of care rule, one that would allow commission-based compensation models. But that does not mean that complying with any future rule the SEC finalizes will mean complying with the DOL’s rule, says Gallagher. If the SEC does move forward its own new rule, an initiative SEC Chair Mary Jo White has publicly said she will advance, “the industry will most likely end up with two incredibly burdensome and redundant rules,” said Gallagher. In his letter to Perez, he also addressed the question of DOL’s coordination with the SEC during the rulemaking process, a point of contention also repeatedly raised by several lawmakers, including Rep. John Kline, R-MN, chair of the House Education and Workforce Committee. For whatever coordination that may have existed, Gallagher was not included. “From a distance—a place where a presidentially-appointed SEC Commissioner should not be in this context—it appears that any interaction between staffs at DOL and the SEC and all of these discussions with Chair White have borne no fruit,” wrote Gallagher, a Republican who has made public his intention to leave the SEC as soon as a successor is appointed. His tenure was not scheduled to end until 2017. “DOL should scrap the Fiduciary Proposal and start working in a meaningful way with the Commission to address the DOL’s concerns about broker fees for retirement accounts,” wrote Gallagher. “The Fiduciary Proposal will harm investors, plain and simple, and an SEC rulemaking under Section 913 of Dodd-Frank will only make a bad situation worse,” he added.